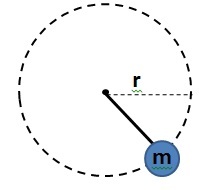 A ball of mass is tied to a rope and moves along a horizontal circular path of radius as shown in the diagram (view from above). The maximum tension the rope can stand before breaking is given by . Which of the following represents the ball's linear velocity given that the rope does not break? This is a centripetal force problem. In this case the tension on the rope is the centripetal force that keeps the ball moving on a circle. If we want for the rope not to break, then the tension should never exceed . What is the rotational equivalent of mass? The correct answer is moment of inertia. For linear equations, mass is what resists force and causes lower linear accelerations. Similarly, in rotational equations, moment of inertia resists torque and causes lower angular accelerations. In rotational kinematics equations, what quantity is analogous to force in linear kinematics equations? A boot is put in a stick which is attached to a rotor. The rotor turns with an angular velocity of . What is the linear velocity of the boot? Here, is the angular velocity in radians per second and is the radius in meters. A particle is moving at constant speed in a straight line past a fixed point in space, c. How does the angular momentum of the particle about the fixed point in space change as the particle moves from point a to point b? The angular momentum of a particle about a fixed axis is . As the particle draws nearer the fixed axis, both and change. However, the product remains constant. If you imagine a triangle connecting the three points, the product represents the "of closest approach", labeled " " in the diagram. 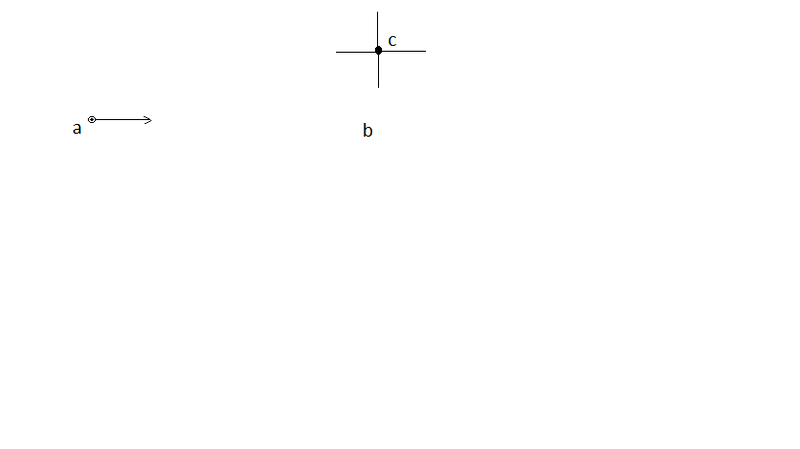 Doing which of the following would allow you to find the center of mass of an object? Center of mass can be found by spinning an object. It will naturally spin around its center of mass, due to the concept of even distribution of mass in relation to the center of mass. Shape and mass are important factors in this property, but the most improtant factor is the mass distribution. 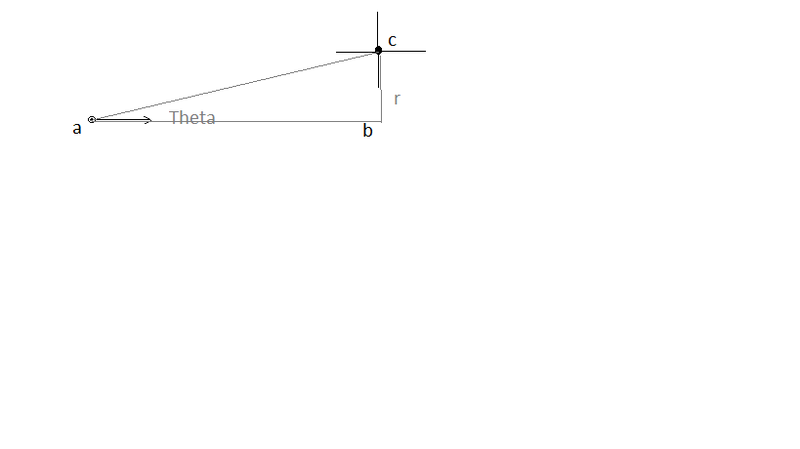 If the fulcrum of a balanced scale is shifted to the left, what type of adjustment must be made to rebalance the scale? Changing the position of the fulcrum by moving it to the left means the center of mass will be to the right of the new position. Therefore, the scale will tip right. Adding more mass to the left end will rebalance the scale. None of the other options make sense. Adding more mass to the new fulcrum position will not change the balance of the scale because that mass is a negligible distance from the new fulcrum position and does nothing to change the masses on either side. If two masses, and are placed on a seesaw of length , where must the fulcrum be placed such that the seesaw remains level? and a point mass is at the point . How far from the origin is the center of mass of the system? To find the center of mass, we have to take the weighted average of the x coordinates and the y coordinates. We can see that the result of the x-axis contribution is equal to . An object starts from rest and accelerates to an angular velocity of in three seconds under a constant torque of . How many revolutions has the object made in this time?